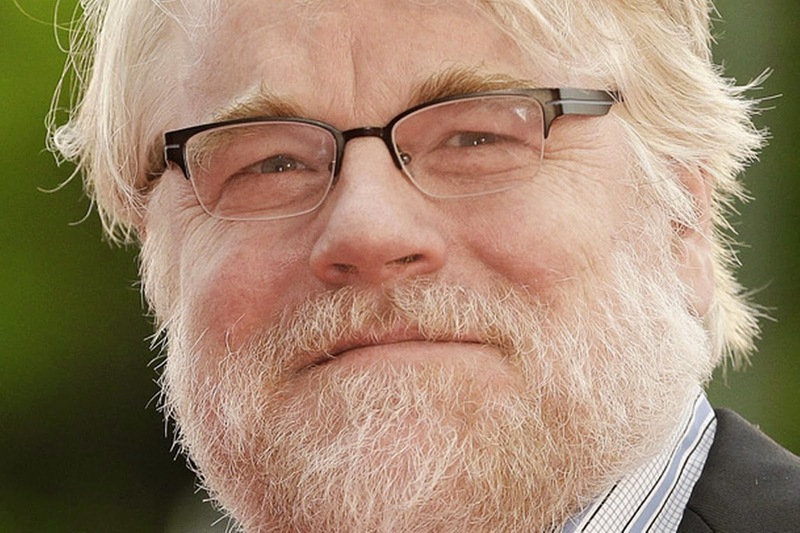 I never saw a Philip Seymour Hoffman performance I didn’t love. That is a rare thing to say about an actor, even a great one, because very few performers go through their careers without making a misstep or two, without taking on a role unworthy of their talent or being handed awful material and finding themselves unable to rise above it. Hoffman wasn’t a God – he occasionally took underwhelming parts or starred in bad films, but the difference between Hoffman and many other great modern performers was that he had the uncanny ability to do stupendous, finely observed, deeply lived-in work no matter the circumstances. In his great movies, like The Master or Doubt or Almost Famous, that meant he delivered some of the best and most memorable pieces of acting in all of contemporary cinema. In lesser films, like A Late Quartet or The Ides of March (both of which I know have their fans) or even something as woefully terrible as Along Came Polly, he was still terrific, not just stealing the show with his steady, magnetic presence, but breathing life into lifeless material whenever he was on screen. If a film had Philip Seymour Hoffman in it, it was lucky, for it automatically had at least one major and undeniable positive quality. And that’s not something you can say about most actors. Now, it appears that Hoffman has left us, as the Wall Street Journal reports that he was found dead, in his New York Apartment, at the age of 46. Details are extremely sparse and sketchy at this time, with the original WSJ article disappearing and reappearing every few minutes, and I am still personally holding out hope that this is some sort of terrible hoax, or perhaps a major mistake. Mostly, I just don’t want to believe it – processing the news is difficult, because Philip Seymour Hoffman just seemed too big, too important, to die, especially so young. For the entirety of my film-going life, since the time I started actively reviewing movies, Hoffman was a major presence, and I always looked forward to seeing him act. The thought that we will never see him do so again is horrible. This is one of the biggest losses Hollywood has sustained in living memory. As strange as it may at first sound, the performance that immediately pops into my head whenever I think of Philip Seymour Hoffman is villain Owen Davian in Mission: Impossible III. While far from his ‘best’ or most ‘significant’ performance, his work in J.J. Abrams’ summer blockbuster treat defined, in many ways, what I held so dear about this incredible actor. Using calm restraint, quiet intensity, and a variety of deadly glares, he crafted in that film one of the best, most intimidating, and certainly most memorable action movie villains in modern film history. I love that movie and think on it often primarily because Hoffman made for such a terrific, unique villain, because he grounded the action and narrative in a truly despicable, softly terrifying core, and thus elevated the film not just high above its predecessors, but above the majority of modern American action cinema. He was the crucial element that allowed every other well-executed part of that film to click into place, and while I think the next Mission: Impossible, Brad Bird’s Ghost Protocol, improved on Abrams’ movie in many ways, it didn’t have a central antagonist like Hoffman, and it was, on the whole, weaker for it. That’s the kind of actor Philip Seymour Hoffman was. While he certainly hit it far out of the park whenever he was handed a leading role – Capote, The Master, Synecdoche New York, etc. – I think of him primarily as the greatest supporting actor of his generation, and that is in no way a slight or belittlement of his talents. The importance of supporting players are too often underestimated in modern cinematic discourse, but supporting work can be every inch as important as the lead parts, and Hoffman’s filmography proves it. He delivered much of his greatest work off-center, and elevated so many films with his supporting presence. Mission: Impossible III is one of the clearest examples of this, of how Hoffman’s work allowed a larger project to click. But think about Moneyball, or Charlie Wilson’s War, or The Ides of March, or Almost Famous, or even last year’s Hunger Games: Catching Fire. No matter one’s opinion on each individual film, he made those and many other movies immeasurably better by giving stupendous work just off to the side, performing without ego and giving any part he was handed his all. And that also made him an invaluable asset in true ensemble pieces, like Doubt, where his ability to play off of others, emboldening his colleagues and being emboldened by them, was extraordinary. It is easy to call Hoffman a ‘character actor’ because of this, and the term is certainly applicable – Hoffman had certain identifiable traits he was able to apply in a wide variety of roles – but I think the phrase may be too limiting for an actor of his stature. I love Philip Seymour Hoffman performances uniformly, but after a few minutes of watching him work, I almost always found myself lost in the character he was evoking, and only cognizant of the actor’s name after the fact. He wasn’t quite a chameleon, nor did he need to be, but he breathed real, three-dimensional life into his parts, every one of them, and gained a reputation for greatness because of it. What were my favorite Hoffman performances? It’s hard to narrow them down, and there are still many I feely guilty for never seeing. I think The Master is certainly as clear a representation of his range and abilities as he ever committed to film, and is also representative of how wondrously he could elevate material that needed elevation (Lancaster Dodd is too one-note on the page, I think, but Hoffman made him endlessly transfixing). Charlie Wilson’s War sticks out to me as some of his very best and most memorable supporting work, a performance that is both riotously funny and undeniably weighty. Doubt excels almost entirely on the strength of its ensemble, and Hoffman is as important as any other player in pulling it off. And for sentimental value, I really will always treasure Mission: Impossible III, because I was at that age when actors are liable to make an immediate, lifelong impression on you, and Hoffman, in the middle of a silly summer blockbuster, did just that. Even in the short time I have spent writing this piece, details and crass speculation have started flooding out about Hoffman’s possible cause of death. I do not care about them, and do not wish to repeat them here. No matter how it happened, losing Hoffman is tragic, an intensely painful loss for the cinematic community that will, I think, take a great deal of time to heal from. My thoughts of course go primarily to his family, though, including three young children, all of whom have been hit the hardest by this horrible news. Hoffman was more than a beloved and celebrated actor. He was one of the greats, of this or any other era. He’ll be in the history books. His work will discovered and re-discovered countless times in the future, and his work will undoubtedly endear itself to many generations to come. In his far too short 46 years, he left a deep and abiding legacy. It is painfully sad that this legacy will not continue to grow and flourish. He had so much left to give.